Your departmental financial representative completes a “RIAS/RIAT Charge to Account Form” to pay the tuition for each student supported by the grant. 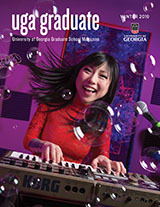 The link for the form is http://busfin.uga.edu/bursar/forms_rias.pdf. Please note that this form is submitted directly to Student Accounts (please do not submit this form to the Graduate School). NOTE: To recover the assistantship funds in the amount of 1.59 times the base tuition rate the student’s tuition must be charged on the grant. Beginning FY 2019, your department financial representative will need to request a new department # in UGA Financial Management System for VIP tuition funds. For tracking purposes, all VIP department numbers should begin with your department numerical number and then RIAS or RIAT (example: 27001RAS – for students whose tuition is paid by the grant but the student is also funded on an assistantship by the grant and. 27001RAT – for students support by a training grant.). The following action will need to be taken if you have already received VIP funds prior to July 1, 2018, that rolled forward from FY 2018. For additional questions, please contact Tonia Austin-Brown at teabrown@uga.edu or 706-542-6269.